In this essay, I start from the premise that a poem can accommodate many voices. I have been exploring dialogic and polyphonic approaches to poetry in my own writing, especially in relation to various artefacts. I argue that there is a need to define and describe more specifically the practice of poetry written in response to artefacts. I call this practice artifactual poetry. In artifactual poetry, poems can become objects (everyday or artistic objects) and objects can become poems. Although poets may have been writing artifactual poems for decades, this practice is becoming increasingly popular with the new media available in the 21st century. I synthesise the current practices in this area, with the call for treating artifactual poetry as a new poetic genre. Before proceeding any further, I lay out the parameters of artifactual poetry, in an effort to produce a coherent definition of this new genre. Artifactual poetry is poetry that is materially situated, that responds to, but also assimilates objects, or artefacts. Inspired by Pahl’s research(2010) on artifactual literacies, artifactual poetry is conceptualised as an approach to producing and sharing poems and poetic texts in relation to specific objects and materials. This approach can be thought of as a form of mutual enrichment between poets and artists or as an enhancement of an individual poet’s practice. An artifactual poem accommodates the tactile, sensual and material properties of everyday objects and can relate, but is not limited to, artistic artefacts such as paintings, photographs or sculptures. In foregrounding the material, artifactual poetry grants objects a poetic quality and sediments this quality in the object. It values and validates the distinct voices of artistic practices and modes of representation. As such, artifactual poetry is a heteroglossic and multimodal endeavour. Heteroglossia is a Bakhtian term, that captures multiple voices (polyphonia), or as defined by Bakhtin, ‘another’s language in another’s speech’ (Bakhtin, 1981, p.324). Associating artifactual poetry with the attribute of heteroglossia moves beyond the notion of a single truth. Rather, through a dialogic process, the intellectual and material contribution of an artist is augmented and enriched by another artist. This mutual enrichment happens on an intramental level of meaning-making (see Mercer & Littleton, 2015) and can be conceptualised as an expanding spiral rather than a linear process of mutual exchange. Heteroglossia and dialogic approach to poetry can, but does not need to, produce diverse meanings and formats. In the case of artifactual poetry, the product or ‘artefact’ created at the end of the creation process (if an end is identified by the artist) bears witness to the dialogic process of its creation. Therefore, an artifactual poem can become visible by influencing the form of the artefact that inspired it; or the form of the poem itself can become an artefact. Locating heteroglossia and dialogism as the core of artifactual poetry implies a departure from a monolithic view on the poetic voice, which was theorised by Bakhtin (1981), but refuted by others (e.g. Batstone, 2002). Artifactual poetry accommodates multiplicity as a fundamental and integral aspect of art. In specifying what artifactual poetry is, it is also worth pointing out what it isn’t. A practice that is closely related to, but distinct from, artifactual poetry, is concrete poetry. Concrete poetry, aka visual poetry, ‘is the creation of verbal artefacts which exploit the possibilities, not only of sound, sense and rhythm – the traditional fields of poetry – but also of space, whether it be the flat, two-dimensional space of letters on the printed page, or the three-dimensional space of words in relief and sculptured ideograms’ (Draper, 1971, p.329). So, while concrete poetry is about space and verbal artefacts, artifactual poetry is about objects turned into poems or poems turned into objects. Some objects, through their artistic qualities, everyday use or simply personal associations, are more conducive to poetry than others. Artistic objects have inspired ekphrastic poetry and unusual everyday objects have inspired object poems (Dinggedichte). Both practices are subsumed under the concept of artifactual poetry and merit closer examination. An ekphrastic poem is a ‘vivid description of a scene or, more commonly, a work of art’ (Poetry Foundation Glossary, online) or ‘the recreation in words of a work of art’ (Mullan, 2009). Typically, an ekphrastic poem is a poem written in response to an object of art that was produced by another artist. In contrast, an artifactual poem can be ekphrastic but it can also be a poem written in response to an everyday, personal object, that the poet can touch, explore in their own hands and build a living relationship with. Ekphrastic poetry could be therefore thought of as a sub-category of artifactual poetry. The term Dinggedicht was coined by Oppert (1926) to describe an art form characteristic of works by Mörike, Meyer and Rilke. 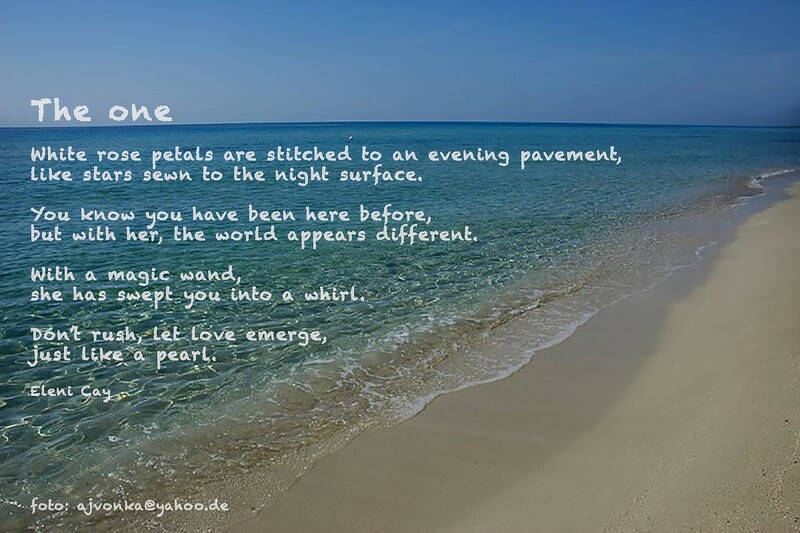 An English translation is ‘thing-poem’ or ‘object poem’. Object poems are poems written in response to a specific object, typically an everyday object that the poet personifies. Sometimes ordinary objects become art and sometimes art turns into an everyday object, so some ekphrastic poems straddle the borderline between Dinggedichte and ekphrastic poems. However, both are subsumed under artifactual poetry. This is because artifactual poems can be embedded in the objects and some artifactual poems can also become the actual object. We therefore need a term that encompasses ekphrastic poems and Dinggedichte, and that accommodates other, related practices. In what follows I outline examples which collectively, and, together with ekphrastic and object poems, can be included under the umbrella term artifactual poetry. I divide the examples into three sets: 1, poems that respond to an object; 2, poems that are part of an object and 3, poems that use an object to enhance the poem. For some examples the sequence of creation is linear and the poem or the object assumes primacy. For others there is no sequence and the creation process is a complex interplay between two or more artistic practices and voices. As with any other art form, the creation process determines whether the final product is an amalgam of two (or more) voices, or whether it bears clear relevance for the individual creators. The first time I became aware of this practice was when a calligraphy artist decorated a teapot to respond to my poem ‘Rainbow’. The artist (Gustavo Adolfo Suarez Vidal) took the first line from my poem and juxtaposed its meaning with the teapot’s properties. 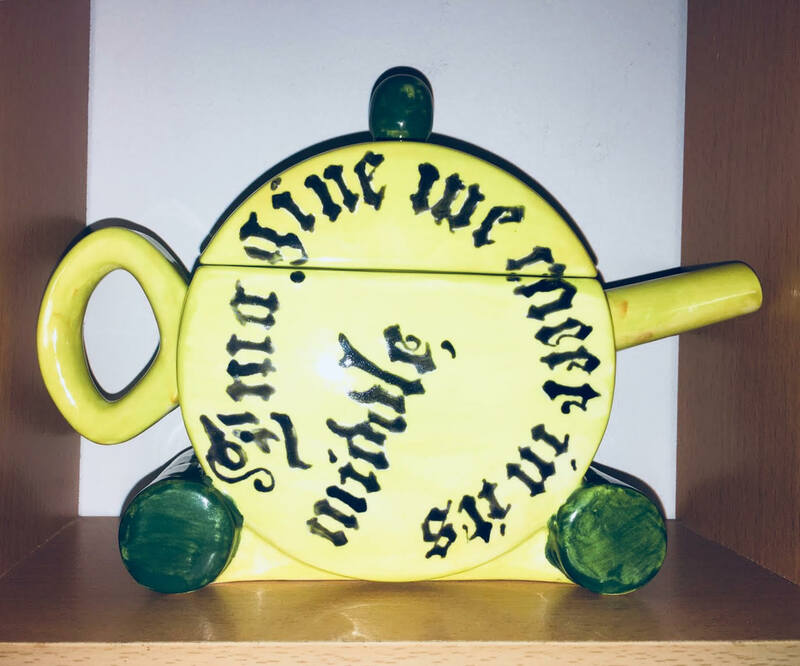 The poem is about the meeting space in the middle of a rainbow and Vidal made the words ‘meet’ literally) when the teapot is covered with its lid. Although not of the same artistic quality, there are several commercially produced products that could be considered as part of this practice, notably the many teacups carrying short poems relevant for specific occasions (e.g. Mother’s Day, Valentine’s Day) or other everyday objects for the home, including cushions, mouse-mats and garments (e.g. T-shirts) that can be easily customised online. While I do not support the view that body can only ever be perceived in physiological terms and represent ‘an object’, there are body-related practices that are relevant in the context of artifactual poetry. 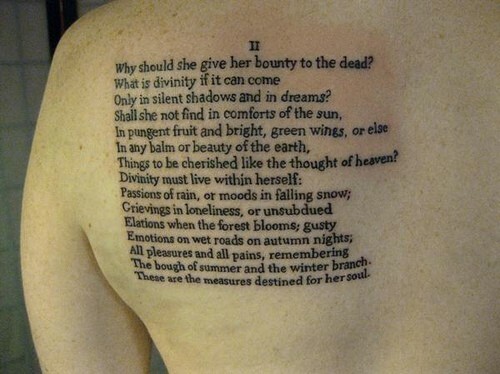 Namely, poems turned into tattoos become a permanent (as permanent as a tattoo can be) part of someone’s body, affecting the body’s appearance and the poem’s message. I consider poems that are tattooed or pierced or painted on the body to be artifactual poems because they affect the identity of the poem as well as of the object. This is in alignment with Pahl and Rowsell (2014, p.106), who write that ‘artifactual literacies can expand beyond things, objects, but also connects with the notion of embodiment and stories associated with bodies and spaces as signifying identity’. 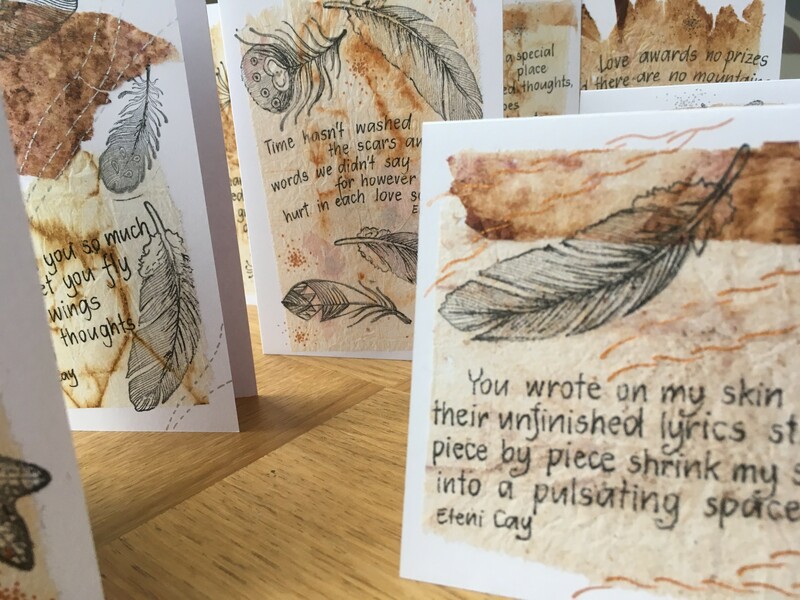 The shareable and immediate content available through social media and the ease with which digital artefacts can be edited and customised has given rise to the so-called ‘Instagram poets’. 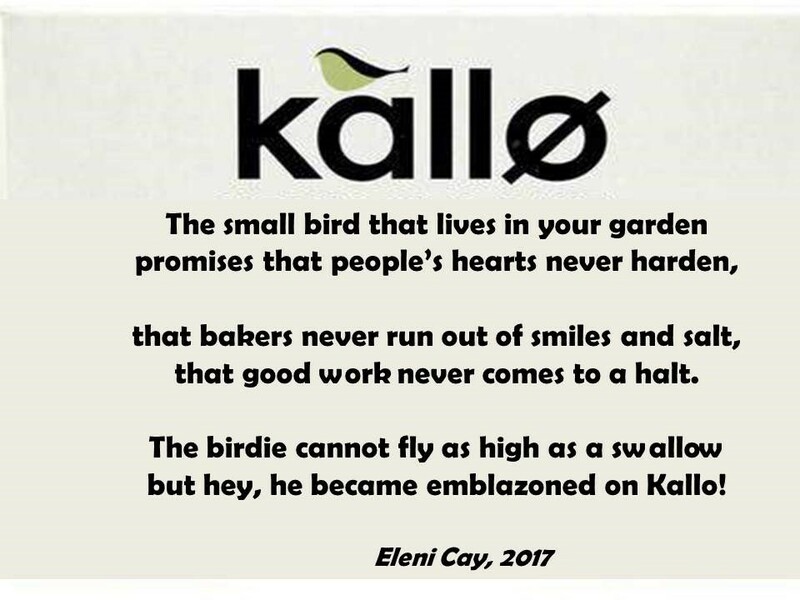 These poets write short, quote- or haiku-style poems that they accompany with a photograph, drawing or image, and post as one digital artefact on their social media page (such as Instagram, Facebook, Pinterest or Twitter). Some Instagram poets are skilled photographers and some can make good sketches and drawings to accompany their short poems. The text is typically typed in an old typewriter-style font or hand-written, blending old and new forms of representation. What is also distinct about these poems is that they do not blend multiple voices of multiple poets, but rather are created by one person who uses several art forms to enhance his or her own poems. This example shows an Instagram poem that I wrote in response to The Poetry School A Quiet Passion Instagram Poetry Competition. To sum up, there are various distinct forms and processes that could be designated with the term ‘artifactual poetry’. I have sought to make my contribution to this genre throughout my work and conclude this essay with some practical suggestions for other poets who might wish to develop or explore the practice of artifactual poetry. Given that ekphrastic poetry and object-poems are already well established in practice and literature, I focus on the less well-known forms of aforementioned examples of artifactual poetry. As mentioned, there are three main ways for creating artifactual poetry with everyday objects. Poets can either start with the object and respond to it with a poem, or they can make their poem part of an object, or they can create an object based on their poem. If the poet wants to create an object based on their poem and is not very skilled at sketching, sewing, drawing or pottery, then the best thing is to pair up with someone who is. Your collaborators don’t need to be professional artists; often new objects are created or embellished by our loved ones in a way that calls for a poetic response. If poets wish to respond to everyday (not artistic) objects with their poems, then they need to start with the object. I suggest structuring the activity with a collection of personal objects. These can be stored in a small box, to which the poet can gradually add his or her own special pieces. 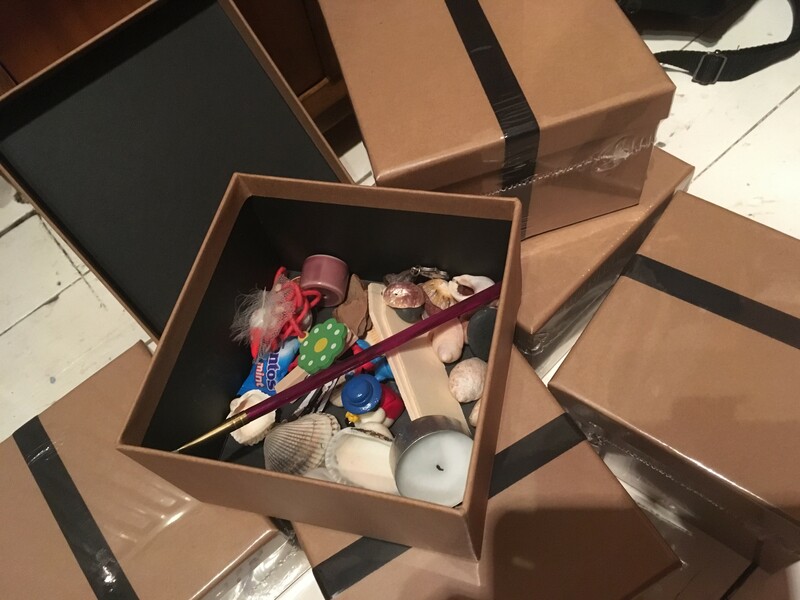 A box can hold only small personal objects, those that remind you of a particular moment or are evocative of a specific mood or day. The objects can be souvenirs from travels; they can include photographs or small talismans. I suggest adopting the approach of personal museums for creating your own miniature museum in a box, responding to a specific event/moment in time. Personal objects are particularly conducive to poems, although it might be hard to detach the subjective from the material. You can create boxes of objects that you don’t feel particularly attached to and imagine new poetic connections to them. I like to create small boxes of objects for other people and have several such ‘artifactual poetry boxes’ at home. They are my portable miniature museums that can inspire poems any time and can be periodically updated or changed. 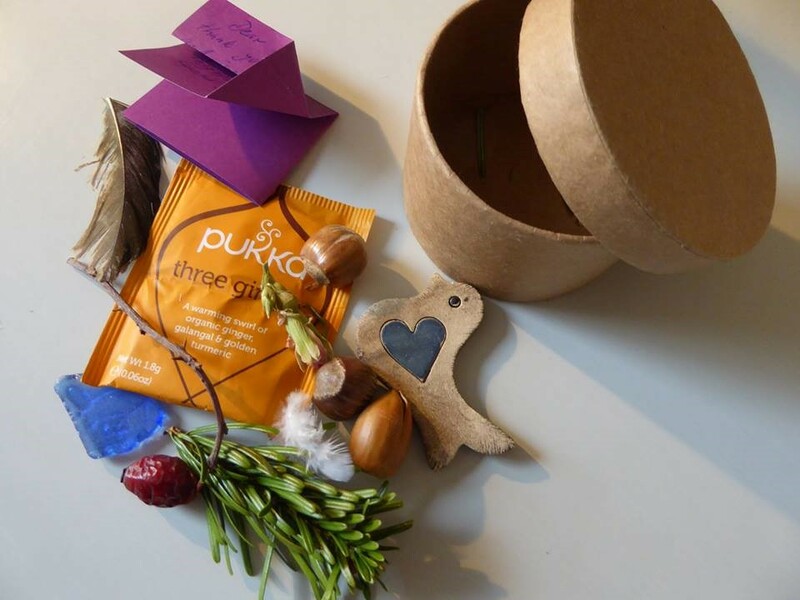 To illustrate, the picture below shows the contents of a miniature poetry box that I gave to Anne-Marie Fyfe for one of her themed poetry workshops. The workshop was about birds and the box contained real feathers, a small statue of a bird, a piece of plastic that fell out from the beak of a crow and other small objects that to me represented ‘the thing with feathers’. One could argue that the entire box was a poem, but it was only when a short poem was written on a piece of paper and included in the box that an artifactual poem was actually produced. The secret to a good artifactual poem lies in the connection between the material and the poet’s mind. It is important that poets touch the objects, turn them in their hands and get closer to the objects’ lived reality. A miniature museum box can inspire and curate the poet’s relationship with objects. The box is not a poetry kit to commercialise. Its value lies in its use – the poet needs to make it alive, imbue the individual artefacts with their own meanings. Artifactual poetry opens up new possibilities for creative conversations. At its core, it follows a structure similar to composing music, where individual notes mesh to create a sound. There is no hierarchy – the notes serve each other and become foregrounded at various stages of the process, depending on the individual artist and the purpose of the final product. If the purpose of poetry is to ‘expand the scope of our lived experience’ (Dilthey, Makkreel & Rodi, 1985, p.6), then artifactual poetry can extend this scope and therefore merits to be recognised as an exciting genre with a creative appeal, practical value and literary merit. Bakhtin, M. (1981). The Dialogic Imagination (Holquist M, ed., Emerson C & Holquist M, trans.). Austin: University of Texas Press. Batstone, W. W. (2002) “Catullus and Bakhtin: The Problems of a Dialogic Lyric” Bakhtin and the Classics. Robert Bracht Branham. Evanston, Ill.: Northwestern University Press. Dilthey, W., Makkreel, R. A., & Rodi, F. (1985). Poetry and experience (Vol. 5). Princeton University Press. Draper, R. P. (1971). ‘Concrete Poetry’. New Literary History, 2(2), 329-340. Hawkes, C. (2010). ‘Food Packaging: The Medium is the Message’. Public Health Nutrition, 13(02), 297-299. Mercer, N., & Littleton, K. (2007). Dialogue and the Development of Children’s Thinking: A Sociocultural Approach. London: Routledge. Mullan, J. (2009) ‘Ten of the Best: Examples of Ekphrasis’, The Guardian. Oppert, K. (1926). ‘Das Dinggedicht. Eine Krunstiform bei Mörike, Meyer und Rilke’. Deutsche Vierteljahrsschrift für Literaturwissenschaft und Geistesgeschichte, 4, 747. Pahl K. H. (2010). Artifactual Literacies: Every Object tells a Story. New York: Teachers College Press. Pahl, K. & Rowsell, J. (2014) Classroom Case Studies: Artifactual Literacies in Action’, in Larson, J., & Marsh, J. Making Literacy Real: Theories and Practices for Learning and Teaching. London: Sage. Valery, P. (1952) ‘The Course in Poetics: First Lesson’. The Creative Process, 95.